Flat roofing systems are a common sight in commercial properties. Whether they are made of EPDM or other membrane roofing, almost every building, restaurant or local store uses a flat roof. In this post, Tedrick’s Roofing, Inc., explains why flat roofs are the best choice for commercial properties. Compared with pitch and even low-sloped roofs, flat roofs cost less to install. This is due to the fact the there is less surface area to cover – even if the roof of the building is relatively wide. It’s also easier to install as the application process of the membranous roofs is relatively straightforward. While flat roofs require the same level of maintenance as other roofing systems, they are easier to maintain as the roof is more accessible. The fact that the roof is flat means a roofer can easily get to and walk around the structure unaided and without the need of any safety equipment. Maintenance costs are also lower as many flat roofing systems, such as EPDM and bitumen, only require reapplication of the material as another layer on the roof. Compare this to asphalt or tile roofs, which often require individually replacing each shingle. Since the foundation of the roof isn’t sloped, property owners can add air conditioning units above the property on the flat roof instead of on the ground. The flat roof itself also serves as extra space where you can install a rooftop garden, an extra storage area or even as another floor. This is especially beneficial for smaller commercial properties where you want to make the most out of every square inch. 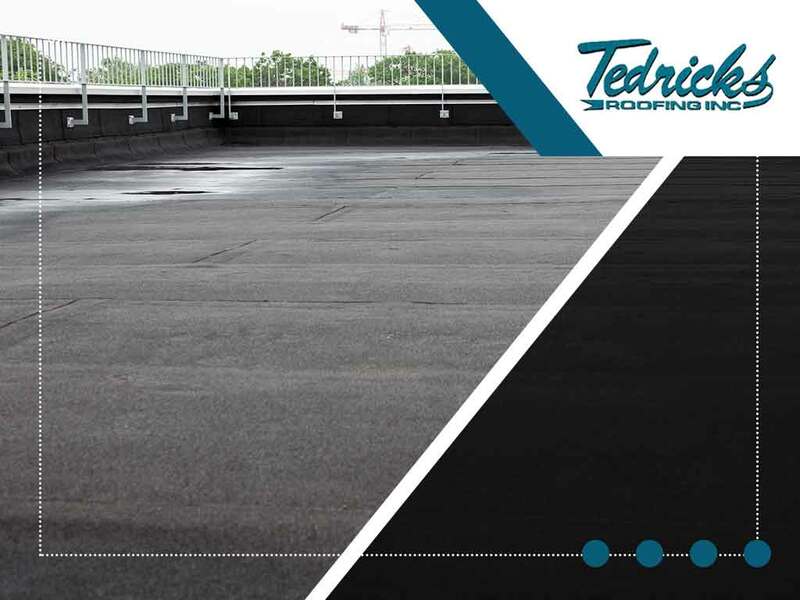 As your local roofing company, Tedrick’s Roofing, Inc., can help you decide the best and most appropriate flat roofing system for your commercial property. You may reach us at (877) 212-9355 and (253) 499-9660 to learn more about our services. We are a local roofer in Tacoma, WA.